Failure is only final if you decide that it is. In this session of The DancePreneuring buy cipro online cheap Studio, Emeroy Bernardo gets real about how the launch of his new project didn’t go as planned and how he had to pull himself out of the funk that is common among entrepreneurs that are in pursuit of their vision. I’m doing something a little different in this session by just featuring the interview. 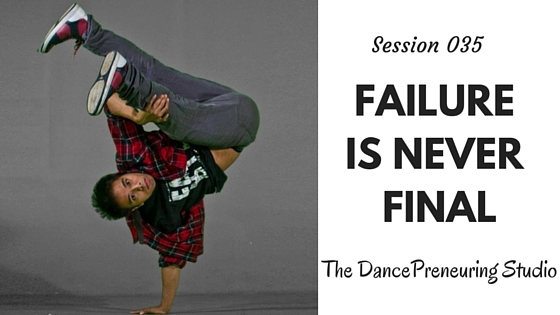 Stay tuned next week for the other segments: Step to Success, Dancer’s Dialect, and Freestyle Flow. Feature Presentation: My friend Emeroy Bernardo is back for a second time on The DancePreneuring Studio and we catch up on the highs and lows of his new project, the importance of surveying your target market when developing a product and the critical questions to ask when you are determining the one thing to accomplish in your day.